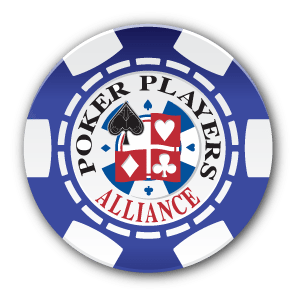 As part of their efforts for legal online poker in the USA, the Poker Players Alliance (PPA) put together a Washington D.C. fly-in on the 24th of May. By bringing a number of poker supporters to Capitol Hill, the group hoped to showcase the fact that online poker needs regulation. In total around fifty people participated in the rally. The PPA paid for 24 members to fly-in, including a variety of their state directors. They were joined by 12 regular PPA members that were able to pay for their own flights to Washington. In addition, 50 members met with district offices in their own states. John Pappas (PPA’s executive director) made it clear that they did as much as possible to increase participation. “Obviously we would have liked to have more players there, but I’m not sure what the PPA could have done more to promote it,” he stated. He also said that the fly-in went very smoothly, especially since organizers only had 3 weeks to put it together. There should be no doubt that every effort helps when it comes to defending US players’ rights. Members of Congress have stated that online poker would not be a topic of discussion for them at all if the PPA didn’t exist. The goal is to get online poker licensed and regulated in the United States. Barney Frank has co-sponsored a bill with Californian Congressman John Campbell. For the final wording on the bill, the PPA was involved. Joe Barton, a Member of Congress from Texas, will also be coming up with a bill soon. Americans still have the ability to play on certain online sites. For example, Carbon Poker and Bovada Poker accept US residents. You should still be fighting for the licensing of online poker in the US however. Join the PPA and follow their advice. The more people that rally, the quicker things will get moving in favor of regulation. In what has been dubbed Blue Monday, the American Department of Justice continued its crusade against online poker. Having sliced into the business of PokerStars, Full Tilt and Absolute Poker, second string sites are now in the crosshairs. This past Monday, a federal grand jury in Baltimore, Maryland released indictments against two companies and three individuals. Defendants are accused of operating an illegal gambling business and money laundering. This move appears distinct from the affairs of Black Friday, in that it was issued under state, rather than federal laws. The raids come as a result of undercover work undertaken by Homeland Security. Among those targeted are Doyles Room, the former home of the legendary Doyle Brunson. Less than a week before this raid, Brunson announced he was leaving the company, although they are legally permitted to use his name and likeness for a short time. The doylesroom.com url now displays the sadly familiar FBI logo announcing seizure of the domain. Blue Monday saw a number of online casino sites attacked alongside poker. Among them were Beted.com, Bookmaker.com, and Goldenarchcasino.com. The individuals indicted belong to two separate companies. The first, ThrillX, is a Canadian software business that provides online gambling platforms to a number of different clients. Two of their employees, Darren Wright and David Parchomchuk have been named as defendants. Joining them will be Ann Marie Puig from BMX Entertainment, who ran 6 online gambling sites from their base in Limassol Cyprus. Also seized were 11 bank accounts belonging to these websites. The accounts were based in a variety of different countries around the world, but this did not prevent the U.S. government from stepping in and shutting them down. Only a few sites remain open to U.S. customers.